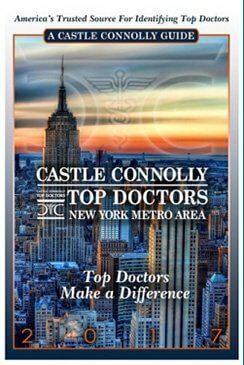 Jacob D. Rozbruch, MD is Ivy League trained, double board certified in Orthopedics and Pediatrics who received his training at the Hospital for Special Surgery (HSS), New York Hospital, and Memorial Sloan Kettering of Cornell Medical Center. 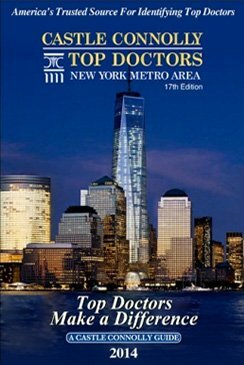 Rated the Best Orthopedic Surgeon in the New York Metropolitan Area by New York Magazine, he was placed in their Orthopedic Hall of Fame. 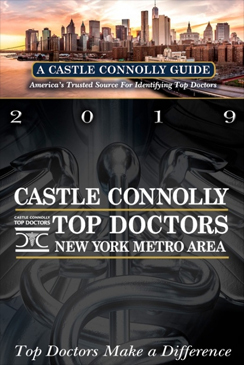 Among many other awards, Dr. Rozbruch has also been repeatedly selected to Castle Connelly’s list of Top Doctors for the last 20 years. 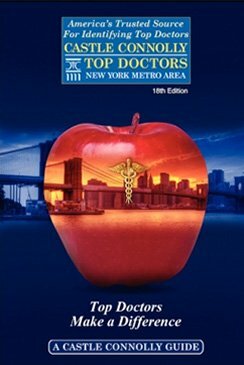 Highly respected, he is presently the Chief of General Orthopedics at Mount Sinai-Beth Israel in Manhattan. 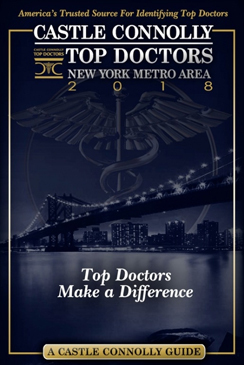 Dr. Rozbruch is an Emeritus Chief of Orthopedic Surgery at Beth Israel North, an Attending Orthopedic Surgeon at Mount Sinai Medical Center, and an Associate Professor of Clinical Orthopedics at Mount Sinai-Icahn School of Medicine. Prioritizing the highest level of patient care, Dr. Rozbruch is capable of diagnosing complex problems and offering the most effective surgical treatments currently available to his patients. Dr. Rozbruch treats orthopedic problems of the hip, knee, shoulder, lumbar spine, and foot. These include total hip, knee, and shoulder replacements, surgery for spinal stenosis, disc herniations, sacroiliac instability, arthroscopic surgery of the knee (meniscus and ACL) and shoulder (rotator cuff repairs), and foot reconstruction for bunions. Dr. Rozbruch has been elected to some of the most prestigious Orthopedic Societies. He is a fellow of the American Academy of Orthopedic Surgery, the North American Spine Society, The Arthroscopy Association of North America, the International Arthroscopy Association, The Foot and Ankle Society, The Society for Hip and Knee Surgeons, and the American Academy of Pediatrics. He has a private orthopedic office at 420 E. 72nd St. in Manhattan. To learn more about Dr. Jacob Rozbruch, please click the below links. Spinal orthopedics can treat back pain, an injury, or trauma. 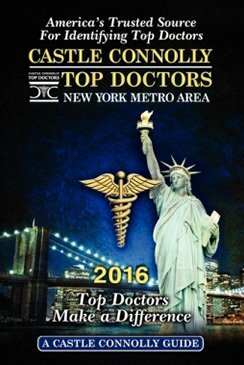 Dr. Rozbruch, a highly skilled spinal surgeon in NYC, is expertly trained to diagnose and treat many orthopedic conditions that affect the spinal column and spinal discs. Dr. Rozbruch specializes in treating spinal conditions such as piriformis syndrome, lumbar spinal stenosis, spondylolysis, SI joint pain, and spondylolisthesis. Through a physical examination and, in some cases, medical imaging, Dr. Rozbruch is able to determine what is causing your back pain or discomfort. Offering highly effective spinal surgeries, Dr. Rozbruch is well-trained at performing lumbar discectomy, lumbar laminectomy, and lumbar spinal fusion. Dr. Rozbruch can help patients find relief from painful spinal symptoms and restore proper mobility and functionality back to the spinal column. With decades of experience, orthopedic surgeon Dr. Rozbruch can successfully treat loose, shifting spinal discs, compressed nerves, and degenerative discs. Certain spinal conditions may also cause pain or symptoms to form in the buttocks, pelvis, and legs. During spinal surgery, Dr. Rozbruch is able to directly treat the underlying cause of this pain and restore a proper range of motion. If you are experiencing back pain, Dr. Rozbruch can help diagnose and treat your symptoms with orthopedic medicine. To learn more about what spinal conditions we treat and what spinal surgeries we offer, please click the links below. The shoulder is a delicate part of the human body that may be more prone to injury in some patients. In some cases, a history of shoulder conditions or injuries may make a patient more likely to develop another shoulder condition. It is important to see an orthopedist promptly if you have recurring shoulder pain, as early intervention can prevent additional damage from occurring. Some shoulder conditions may arise after a direct injury or trauma to the shoulder, which is often very noticeable and easier to diagnose. On the other hand, many patients may slowly develop a shoulder condition as they age. As patients get older, the shoulder experiences wear and tear and begins to degenerate. If a structure within the shoulder degenerates too much, a tear, rupture, or another shoulder condition may occur. Dr. Rozbruch specializes in diagnosing and treating shoulder injuries such as shoulder impingement, shoulder labrum tear, and rotator cuff tears. Dr. Rozbruch is also skilled at detecting and treating shoulder conditions that may have been brought on by age, including shoulder osteoarthritis and AC joint arthritis. At the office of Dr. Rozbruch, we offer total shoulder replacement, shoulder impingement surgery, shoulder labrum tear repair, shoulder osteoarthritis treatment, and rotator cuff repair. PRP injections for shoulder pain may also be prescribed as a nonsurgical treatment for some shoulder conditions. Please click the below links for more details on the shoulder conditions we treat. With age, osteoarthritis may cause pain in the hip that can affect your mobility and range of motion. Dr. Rozbruch is a hip surgeon who can replace arthritic joints within the hip to reduce this pain and restore functionality to the hip. Where 2 bones connect, there is a layer of articular cartilage, which reduces friction between these bones. When this cartilage is no longer as healthy or present, the 2 bones may come into direct contact, resulting in a painful grinding. In cases like this, hip replacement surgery or revision hip replacement may be needed. Hip arthroplasty is designed to surgically remove and replace an arthritic hip joint with a prosthetic joint. This artificial joint is shaped and designed to look and function exactly as your natural hip joint. Dr. Rozbruch can help you find relief from hip pain with hip arthroplasty. While hip replacement surgery, is an effective hip pain treatment, revision hip replacement may be needed, especially in younger patients. Revision hip surgery is often required because the artificial hip joint experiences the same wear and tear as your natural hip joint. For more detailed information on hip replacement, please click on the below link. Knee pain or discomfort can limit your mobility and inhibit a proper range of motion. A painful knee may be the result of a knee injury or knee conditions. Knee conditions, such as a meniscus tear or ACL tear, are the result of an accident or injury to the knee. Another common cause for a knee condition to develop is degeneration of the knee structures. Degeneration of the knee due to wear and tear may cause knee bursitis, arthritis, or osteoarthritis. Dr. Rozbruch can help diagnose a wide variety of knee injuries and knee conditions, as well as suggest an effective treatment or surgery. With knee orthopedic medicine, Dr. Rozbruch can help you return to your daily activity with little to no knee pain or discomfort. An arthritic knee joint is a common cause for knee pain that occurs mostly in older patients. Knee arthritis or osteoarthritis is brought upon by the degeneration of the articular cartilage in your knee, which is designed to reduce friction between the thigh bone and shin bone. When this cartilage degenerates, the bones begin to grind together and cause pain. In cases like this, knee replacement or partial knee replacement may be needed. Revision knee replacement may also be suggested to patients who are experiencing knee pain again and have undergone knee replacement surgery previously. Please click on the below links to learn more about the various knee conditions we treat. Dr. Rozbruch is an accomplished ankle and foot surgeon who offers treatments for various conditions that cause pain or discomfort in the toes, feet, or ankles. Many conditions of the foot and ankle stem because of narrow or ill-fitting footwear. Patients who wear narrow shoes such as high heels may be more prone to developing certain ankle and foot conditions. Some common ankle and foot conditions that may be due to tight shoes include Achilles tendonitis, bunions, and Morton’s neuroma. Proper footwear and arch support can dramatically reduce foot and ankle pain. For some patients, a change in footwear may not be enough to treat their ankle or foot pain. Dr. Rozbruch may suggest surgery such as a bunionectomy, Achilles surgery, hallux rigidus surgery, Morton’s neuroma surgery, or posterior tibial tendon surgery. Dr. Rozbruch is an accomplished foot surgeon who can remove damaged tissues, bunions, or growths. Additionally, he can repair damaged structures of the ankle and foot to reduce any inflammation or pain. Dr. Rozbruch can help you determine if you may benefit from a foot or ankle surgery. To learn more about the foot and ankle conditions we treat, please click the links below. To validate this request, please type the security word in the box below. © 2019 JACOB D. ROZBRUCH, M.D. ALL RIGHTS RESERVED.